The Sensuous Streaker, Marvel Comics (1974) | 'TAIN'T THE MEAT… IT'S THE HUMANITY! Regular readers of this site will know how much I enjoy delving into the murkier corners of comic book history searching for long-forgotten gems. But even I have to admit this week’s entry is bloody odd. 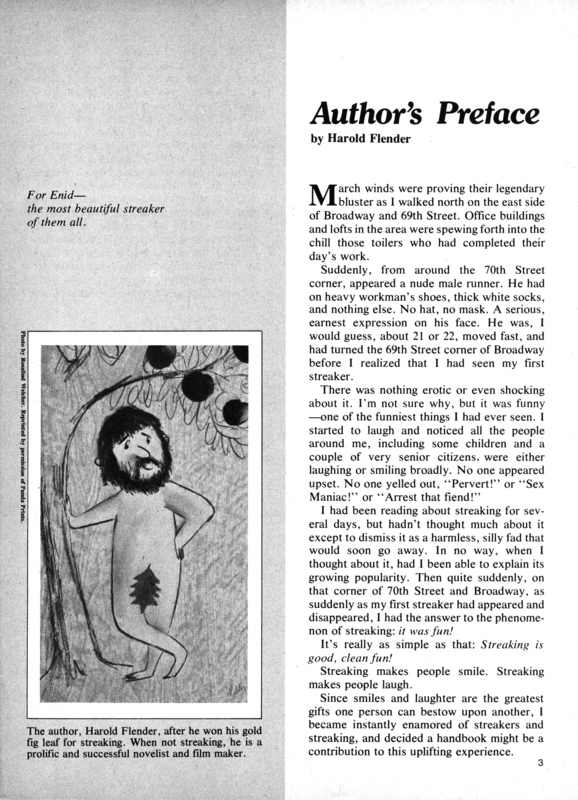 The Sensuous Streaker was published in 1974 to celebrate one of the strangest crazes of the 1970’s: streaking. 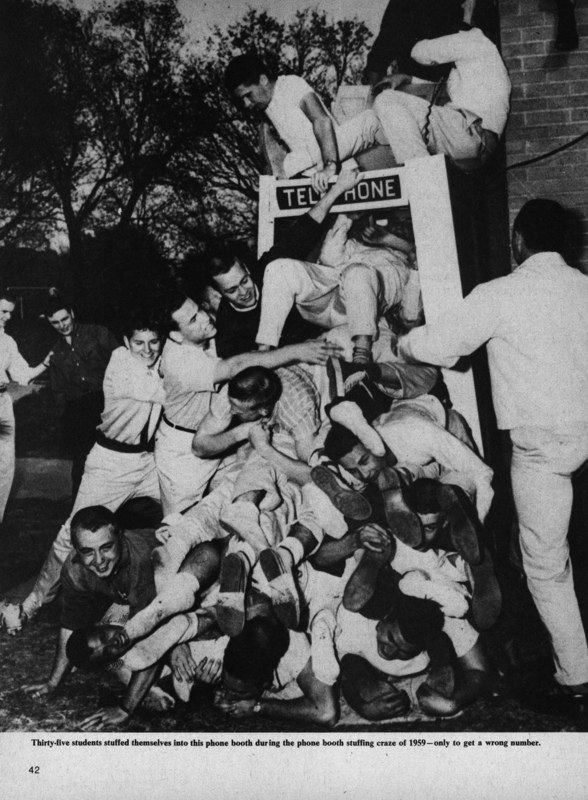 The fad had its roots in the US the previous decade but didn’t really take off until 1973 and 1974, when it resulted in hundreds of incidents of people (mainly students) stripping off their clothes and running naked through college campuses and major sporting events. 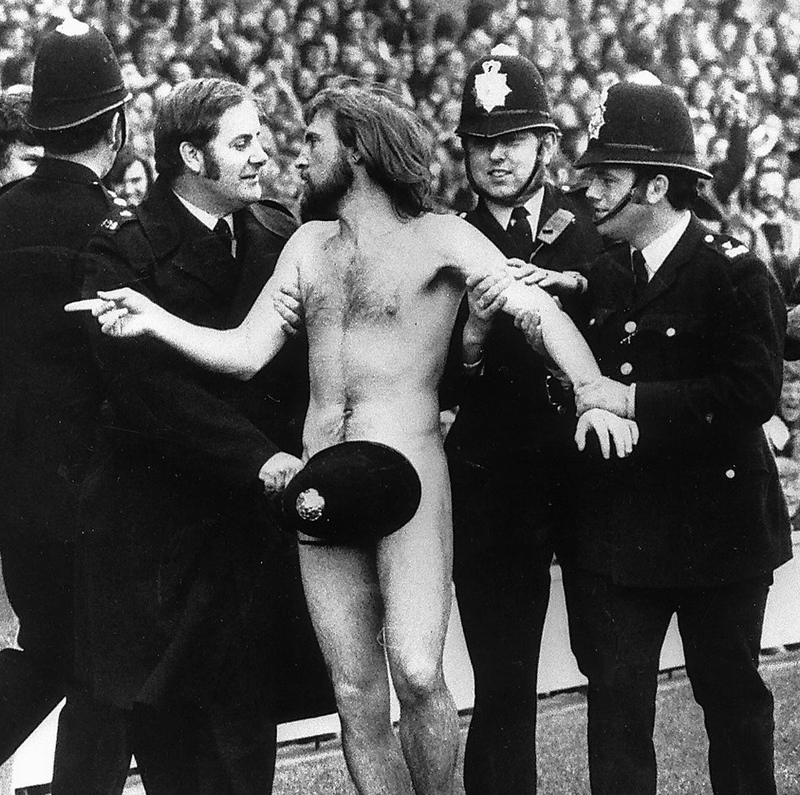 In April 1974 the craze hit the UK when Michael O’Brien streaked during a Rugby match at Twickenham. The naked Australian was chased down by PC Bruce Perry, whose act of covering the Aussie’s shame with his police helmet resulted in one of the most iconic images of the 1970’s. The Sensuous Streaker was published by Curtis Magazines, ran to 68 black and white pages and sold for $1. Curtis was better known as the magazine imprint of Marvel Comics, and were responsible for publishing their horror and martial arts titles — and judging from this magazine they clearly weren’t above knocking out the occasional novelty one-off. Written by novelist Harold Flender the magazine featured text essays on the history and ideology of streaking, nudism through the ages and a run down of other college crazes. There was also a hints and tips chapter and a guide to healthy streaking. The book also reprinted hundreds of photos of naked people, so many in fact that I can’t help but wonder if that wasn’t the main motivation behind publishing the mag in the first place (after all, T&A sells). But for all it’s novelty value The Sensuous Streaker is a fun read. It thankfully doesn’t take itself seriously and the chapter on college fads is actually pretty entertaining. The magazine never loses focus on the fact that streaking was harmless fun, a short-lived craze that brightened up those Summer months of 1974. The only thing I can’t figure out is why the magazine is called The ‘Sensuous’ Streaker. I don’t know about you but if I decided to strip off and run across a football pitch on match day the last bleeding thing I’d feel is ‘sensuous’! When reading it today The Sensuous Streaker feels like as a paean to a more innocent time — when running naked down a street would most likely result in good natured laughter and not angry recriminations. And the fact that it ranks as one of Marvel Comics’ strangest publications also adds greatly to its novelty value. Below are a few more images from The Sensuous Streaker. Needless to say they are definitely NSFW.